Helping to achieve the basis of Industry 4.0, Balluff sensors and identification systems collect relevant data and ensure seamless communication with higher-level systems such as controllers or clouds. A key interface for intelligent communication for Industry 4.0 is IO-Link, the new fieldbus-neutral communication standard whose development Balluff has been consistently driving and promoting for years. It is as easy to use as USB with a computer, simplifies the installation of a system, saves costs and for the first time enables intelligent diagnostics and parameterizing concepts all the way to the fieldbus level. Experts consider it as an enabling technology for Industry 4.0. 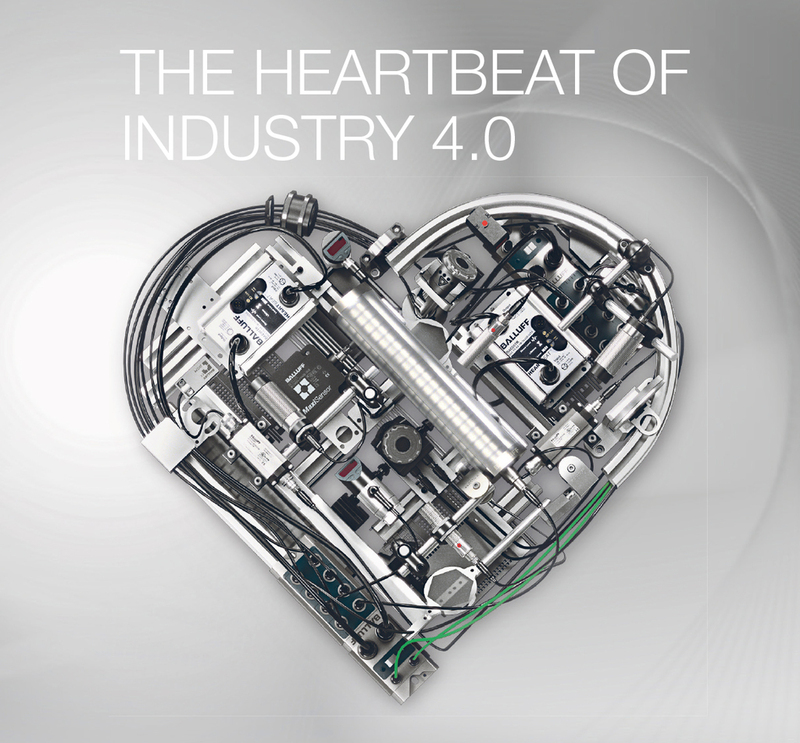 Many applications from the Balluff portfolio are already components of Industry 4.0. You only need to apply them accordingly. One example here are the Heartbeat power supplies with a condition monitoring function. By means of IO-Link they tell the user when there is an overload, that the ambient conditions have worsened, or warn him of a pending failure. This allows unplanned downtimes to be prevented, since a replacement can be made as part of a scheduled maintenance activity. Mould ID is a clear and practical example for how Industry 4.0 easily finds its way into production. By means of industrial RFID, Mould ID makes the use of injection moulds traceable, ensures their optimal utilization, and supports predictive maintenance. The best part: via LAN, W-LAN or Powerline all Mould-ID systems can be connected to the control level, an ERP or MES system via web services. The result is access to the data and processes from anywhere. And when the objective is to implement the smart factory with short changeover times and decentralized production control, Balluff BTL transducers with the IO-Link interface are important control elements. Using them you can automatically change recipes for new requirements, for example in response to a different package size (format changes). And when products and packages need to be labelled and the workflow has to be flexibly controlled throughout production, the proven RFID systems from Balluff are a highly efficient solution (traceability).